Unsightly scars and stretch marks, or striae, have presented problems for men and women for centuries. Many people generally consider scars and stretch marks unsightly, disfiguring and unacceptable. Q. What Causes Scars and Stretch Marks ? While the exact cause of stretch marks is unknown, it is thought that striae are the result of your skin's collagen and elastin breaking down under stress. Pregnancy, bodybuilding and weight loss are the leading causes of stretch marks. Stretch marks occur most frequently in areas of mechanical stress such as the breasts, abdomen, thighs, groin or buttocks. In the beginning, stretch marks are red. They turn white as part of the healing process. Scar removal, scar revision and scar reduction options by laser and non surgical treatments vary in cost and risk. Laser acne scar removal is highly effective; however, the costs and risks are higher than compared with non-surgical scar removal creams and lotions. There is a big difference between the lasers now, compared to the CO2, Erbium of the past. The lasers of the past are considered more aggressive and becasue of this, recovery was longer. Unlike the older lasers that burn the surface of the skin and denude the layers, new "Fractionated" laser systems place hundreds of holes in the skin surface that is intermixed with normal skin surface. Recovery is must faster and there is virtually no down time. We have complied doctors and non-surgical treatment options for the reduction of acne scars, facial scars, burn scars, keloid scars, plastic surgery scars, hypertrophic, scar tissue removal and more. Mild Acne scars disappear over a period of time. But at times, severe scars resulting from acne cysts and nodules can leave a permanent impression on the skin. To treat severe scars, Acne surgery can be resorted to. 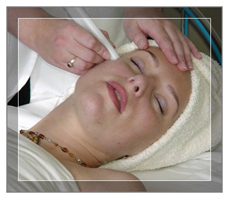 Punch Excision involves surgically removing the portion of the scarred portion of the skin. The skin can then be sutured and left to heal by itself. It is used to treat Ice pick scars that do not cover a huge surface area of the skin. The face would be bandaged after the surgery and hospitalization would be a necessity. This Surgery is usually carried out on a local anaesthetic. At times when the scarred skin covers a large surface area of the skin, punch excision needs to be coupled with skin grafting. Punch excision could be performed as discussed above to scrape out the scarred portion of the skin. Since, the scarred skin surface area is large, a skin graft needs to be performed by taking a portion of skin from the body, usually from the back of the ear and replacing the scraped out pit on the skin caused by the excision of the scar. 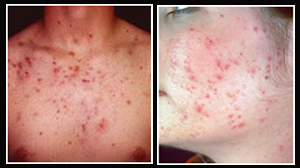 This method is used to treat huge pits left by acne scars. Fat taken from the body is injected under the pit. This can cover the depressions left by the acne scar. However, fat needs to be injected from time to time as the skin has the tendency to absorb the fat into its layers. Precaution needs to be taken before resorting to acne scar removal surgeries as it opens out the possibility of infections as a result of open wounds. It needs to be done with the hands of an experienced surgeon. Q. Who Are The Best Candidates For Laser Scar And Stretch Mark Removal ? The patients that respond the best to laser treatment for scars and stretch marks are those with a fair complexion and light pigmentation as well as those with shallow scars or stretch marks. Many types of lasers are available, each of which has unique benefits for scar removal. 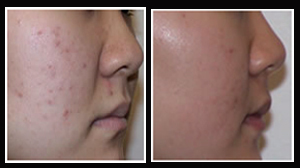 The CO2 and Er:YAG lasers are best suited for acne scarring. The CO2 is an ablative laser that basically sandblasts the skin away; resulting in some substantial downtime. The Er:Yag is also ablative, but less so than the CO2; meaning that it is less damaging. Many different companies manufacture CO2 and Er:YAG lasers. Fractionated CO2 and Er:YAG lasers including the Fraxel and fractionated radiofrequency treatments also are very helpful for acne scarring, but they require multiple treatments. Fractionated lasers work by treating a fraction of the skin's surface. These lasers create tiny wounds in the deeper layer of the skin. Each wound is surrounded by untreated skin, helping to repair the treated area via a controlled wound-healing process. Both CO2 and Erbium YAG lasers as well as radiofrequency treatments can be fractionated. The 585-595-nm pulsed dye laser technology which includes Cynosure and Candela lasers, is often used to treat hypertrophic and keloid scars. These lasers may be used with or without steroid or five percent 5-fluorouracil (5-FU) injections, both which can help flatten scars. devices such as Thermage may be helpful in treating acne scars among African-Americans. There is still little that lasers can do to treat keloid scars affecting this population. The laser's energy stimulates the skin under the scar and causes the fibroblasts in the skin to begin to divide again. It also stimulates the production of collagen. This thickens the skin under the scar until it closely resembles the surrounding normal skin. Q. Do Laser Treatments Work ? Our current laser technology has been shown to improve red or raised scars. Recent studies have demonstrated that laser treatments stimulate the production of collagen and improve the appearance of stretch marks. Q. What Else Can Be Used To Treat Scars ? ScarfadeT and LaserfadeT are silicone gels that when applied to the skin form a micro-thin layer of silicone on the scar. Both of these products can be worn under cosmetics and are easily tolerated by children. The silicone is thought to moisturize the skin, reduce capillary irritation and allow the skin to return to its normal texture and color. Q. Do Laser Scar And Stretch Mark Treatments Hurt ? Q. What Should I Expect After My Treatment ? Results vary from patient to patient and may not be immediate. Results from laser scar and stretch mark treatment are generally progressive and may require multiple treatments. If you respond to the first treatment, your second treatment will usually be as good as the first, and the third treatment will be almost as good. About 70% of patients receiving laser treatments for their stretch marks notice a marked improvement. Newer and shallower stretch marks and scars respond better than older and deeper scars and stretch marks. To enhance the results of your laser treatments your surgeon may recommend the use of tretinoin cream or a glycolic acid cream prior to and after your laser treatments. Q. What is a hypertrophic scar ? Q. What is a keloid scar ?